There’s no place that hasn’t been touched by technology. Anything that you can point to is tied to a technological system. The shoes you wear can count the steps you take, your watch counts your heartbeat; your smartphone, glasses, the chair that you sit in, the car that you drive in—there’s nothing that hasn’t known the magic of tech. So, when surrounded by innovation, it stands to reason that tech-savvy people would welcome it home, making their home interiors smart and creative. A futuristic smart home can be built from the ground up, or you can just add the technology needed to your existing décor. Some technologies have been integrated and becoming so common that they are no longer a novelty. Others have been rapidly gaining traction, and within a few years it would be common for everyone to live in a smart house. With technology, you can control the ambient light, temperature, and mood of your interiors with just a touch. Check out these interior design tips by leading interior designers in Bangalore that let you gear your home a notch, while keeping it green on the side. The electrical socket hasn’t undergone a drastic change in decades, which is why the latest improvement is catching up. As the laptop and smartphone era took off in success, people became acquainted with USB ports and their importance. Almost every mobile device comes with a USB port for charging, together with extra adapters and cables. To do away with the extra accessories and clutter, Fastmac has brought in the U-Socket that has changed the face of the traditional electrical socket. 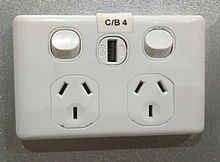 Now, with the conventional outlet, you can have two USB ports adjacent to it. This is more a matter of convenience, allowing you to stay free from coils of cables. Moreover, it can also help you save up on energy, since many electrical adapters and appliances can drink power even when not in use. Thus, with U-Socket, you can plug in your mobile devices while contributing your bit for the environment. Most interior design firms in Bangalore these days have replaced CFL lights with the LED ones; a move that has also helped in saving energy costs. You can go a step further and opt for the smart LED bulb, which is almost definitely found in most smart homes. Smart LED bulbs can change the colour of their emitted light to align with your body’s circadian rhythm. This means that your lighting system indoors will be synced to your sleep cycle. The bulbs use Bluetooth connectivity to communicate with your phone. This allows you to change and personalise the colour temperature you need indoors. From an energizing white light in the morning to a relaxing orange glow at night, you will be able to control it throughout the day. Interior décor, especially contemporary style, leans heavily towards stainless steel finishes. This trend is being replaced fast by matte finishes, and by the end of this year, we will probably see stainless steel being old news. With matte finishes, you don’t have to worry about dirt, smudges or even fingerprints. They repel or hide any mark you make with your stained hand, and they can also be cleaned easier than the stainless steel finishes. Moreover, they have an ultra-modern approach when incorporated into your home décor. Matte finishes can blend in with existing décor, whether stainless steel, black or white, thus saving money in transitioning to the new look. Having a centralised electronic system can help you in taking your productivity up a higher rung. An integrated home system indoors, which has an integrated network and video conferencing, has the capability to access remote offices, enabling you to efficiently work from home. What’s more is that such a centralised electronic smart system can also sport home automation features that will allow you to control your indoor temperature online. You can also add in security systems, cameras and other controls like smart lighting, thermostat etc. which can be accessed remotely as well as internally through touch screen pads. Such a system will allow you to watch and control your home even when you are outside. Until recently, having a room dedicated to a big-screen TV or home theatre, with large speakers was a trend. Large entertainment units dominated the room, leaving little space for other interior furnishings. But that is quickly changing with slimmer and adaptable technology. You can now have televisions installed into walls or have them slide out from the ceiling or wall, keeping them hidden or transparent. 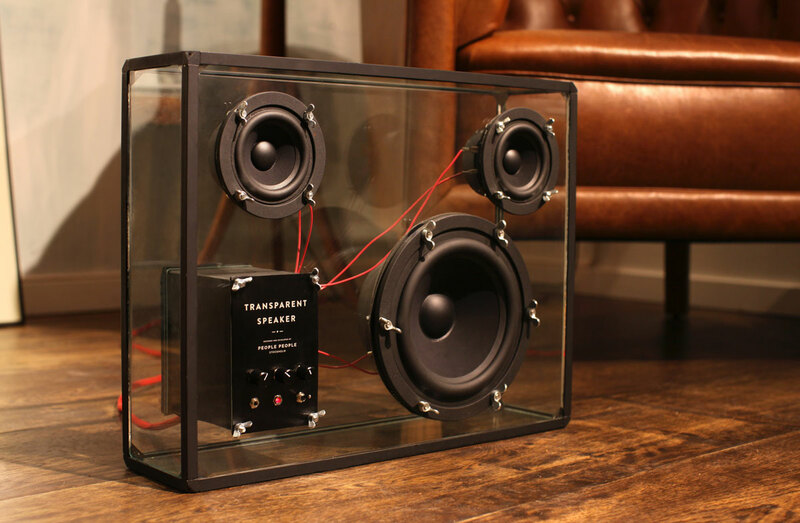 Large speakers can be installed in walls, keeping them neatly aligned and barely noticeable. Such an arrangement lends a sophisticated touch to the interior décor, and also takes away the hassle of cluttered wires and space. Audio and video equipment that are housed in such a way can also be controlled remotely through a touchpad.